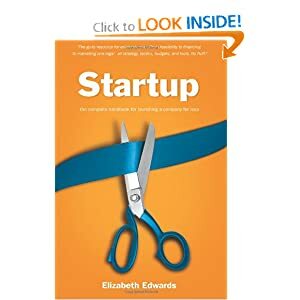 If you are thinking of starting your own business but don’t know where to start, then pick up a copy of Elizabeth Edward’s Startup. Edwards is a former venture capitalist who has read hundreds of business plans and heard hundreds of entrepreneurs pitch their ideas. I was interested in her book because Wyatt, the main character for the 3rd book of the Future Business Leaders’ Series™ (which is coming out in June) takes on an adventure to write a business plan and court venture capitalists so his comedy club can grow. I wanted to read what advice a real venture capitalist would give to a first-timer, and Startup fit the profile. Startup is packed with the necessary ingredients you must have to cook up any business. Edwards provides countless resources and advice for researching your market and building a sound business plan. You’ll also find tips for technical tools and lots of legal recommendations. I was most impressed with the level of detail she covers in regard to raising capital. Edwards diligently outlines nearly every possible financing option available to entrepreneurs, giving the pros and con of each. She meticulously describes the requirements, application processes, and the loan amounts and interest rates you can expect. You’ll have to overlook the untidy formatting. There are many blank pages in the middle of chapters and the image resolution is a bit poor. But if you’re just starting a business, then you’ll find the information so valuable that these minor faults are certainly worth forgiving.